It would be fair to say that Stuart Staples is one of the most unfirly anonymous singer-songwriters around. While not wishing to dwell too much on pointless comparisons, one wonders had he originated from somewhere more glamorous than the suburbs of Nottingham if his name would be uttered amidst the same breathing spaces as such esteemed troubadours as Nick Cave, Will Oldham or Bryan Ferry. 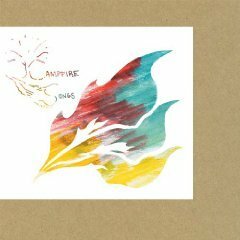 As it happens, his vocal styling and deftly monosyllabic approach to storytelling means he's levered bits of all three into a devilishly unique concoction, and through his Tindersticks outlet - now a staggering 18 years young - has created a record that certainly rivals, if not betters any of its three predecessors from the past decade. Album number eight in total, Falling Down A Mountain is blessed with an array of esteemed guest appearances and is also the first Tindersticks recording to feature the extended five-piece line-up that sees drummer Earl Harvin and fellow singer/songwriter David Kitt (on guitar duty here) team up with long time mainstays Staples, Neil Fraser and David Boulter. One of those guests, legendary trumpet player Terry Edwards, characterizes the title track's stifled build up by way of a free form jazz tinged solo that culminates in Staples' cautious, if occasionally unintelligible vocal. 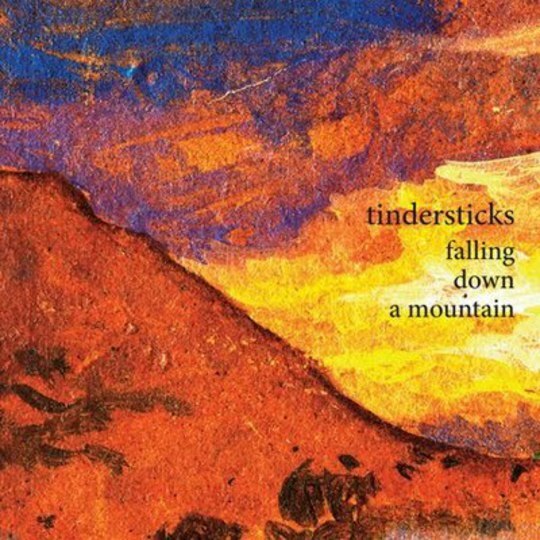 While not exactly a million miles from what your average fan would probably expect (and welcome) from a new Tindersticks record, its an emotive start to a record that sounds like it could have been uncomfortable and deleterious to make, even if the end results would suggest the contrary. For while 2008's The Hungry Saw had an almost by-numbers feel to it, Falling Down A Mountain is anything but. Sure, both 'Keep You Beautiful' and 'No Place So Alone' are typically downbeat, minimalistic ballads in the mode Staples and co. have been churning out in their sleep for years. 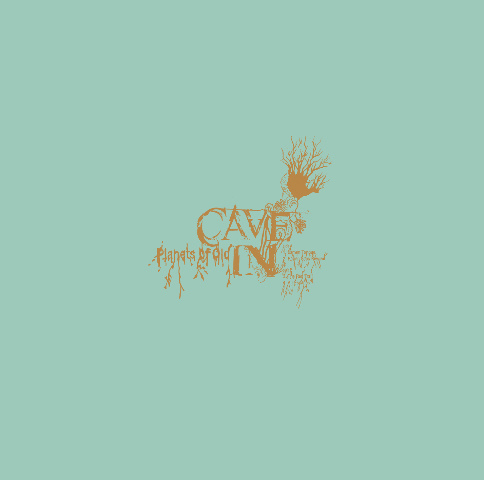 However, delve deeper into 'Falling Down A Mountain_'s core and you'll find elements of playfulness not normally associated with a band whose serious nature is paramount to their existence. Take 'Harmony Around My Table', a jaunty Northern Soul style number that wouldn't sound out of place in a Seventies dance venue, were it not for a sombre Staples baritone that evokes images of Leonard Cohen fronting the Detroit Spinners or something equally as absurd. Nevertheless, it's that perplexing amalgamation that makes 'Harmony...' stand out from the rest of the album like a proverbial sore thumb. Likewise the eerie saxophone flavoured 'Black Smoke' has a Shane Meadows type ambience to it, so much so that one wouldn't be at all surprised were it to be used as a soundtrack to one of his grittier celluloid depictions in the not too distant future. Elsewhere, the Mary Margaret O'Hara duet 'Peanuts' could be the most preposterous set of lyrics Staples has ever penned, the song itself pretty self-explanatory as the alternating male/female lead vocalists discuss the merits of... peanuts. The penultimate 'Factory Girls' meanwhile, a plaintive piano-orchestrated ballad, could almost be a smog infested doppelganger for Robbie Williams' 'She's The One'. No, really. Closing with the spacious instrumental 'Piano Music', another piece that would immediately make more sense if accompanied by a visual of some form or another, Falling Down A Mountain doesn't disappoint even at its most arduous vantage points. What's more, despite the fact he's been making records since before any member of The Drums had outgrown their first set of diapers, this record is evident proof that Stuart Staples' creative palette is as vibrant and uncompromising as it ever has been, and for that alone we're sincerely and eternally grateful.